Welded Heavy Duty Gratings are designed to service applications subject to heavy rolling and static loads such as highways, plant floors, loading docks, inlet covers and airports. Since these conditions can range from light-duty forklifts to heavy-duty truck or aircraft traffic, heavy duty gratings are manufactured in a wide range of bar sizes and spacings. Standard heavy-duty bar grating is resistance-welded for durability, strength and safety using an automated electric/hydraulic welding process. High temperatures, combined with high pressure, fuse the bearing bars and cross bars together to form a permanent joint. The specification of plain type and serrated type bearing bar is 20 x 3 to 100 x 10; The specification of I-section type is 25 x 5 x 3, 32 x 5 x 3, 38 x 5 x 3, 40 x 5 x 3, 50 x 5 x 3, 50 x 7 x 4, 55 x 7 x 4, 60 x 7 x 4, 65 x 7 x 4, 70 x 7 x 4, 75 x 7 x 4, etc. 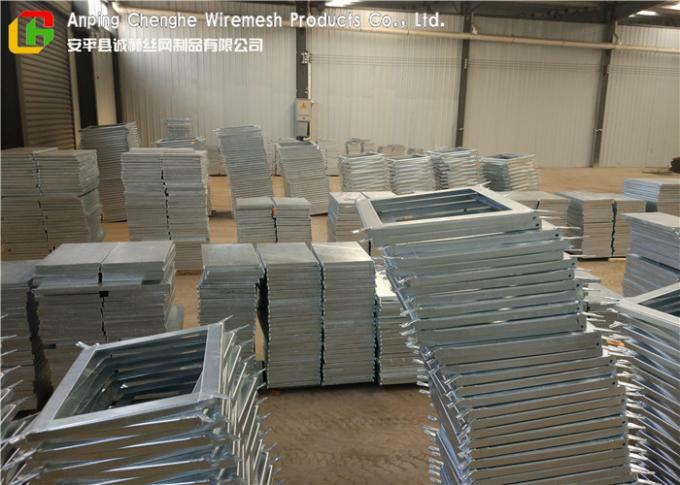 Heavy-duty steel grating is widely used as the floors, lanes and rack accessories in the highway, bridge, parking lot, store shelves for large cargo, industrial plant that often use forklift and the traffic junctions, roads or trails that large trucks often come and go. Question: Can you produce the steel grating according to the sizes of the customers requirement? Answer: Most supplying steel gratings are produced according to the drawing. There are design and technical departments in our company, the specialist in these departments have many years of development experience. Question: We are going to buy press-locked steel grating, what is the maximum size of bearing bar? 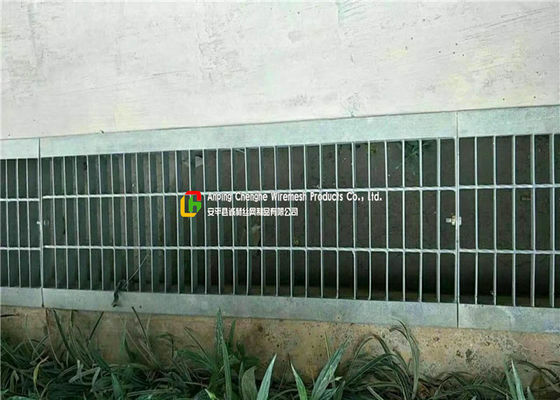 Answer: The maximum size of press locked steel grating is 2500 × 2200 mm, 2500 mm is the maximum length of bearing bar, 2200 mm is the maximum length of crossing bar, the size of the corresponding standard mesh is 34 mm × 33 mm.